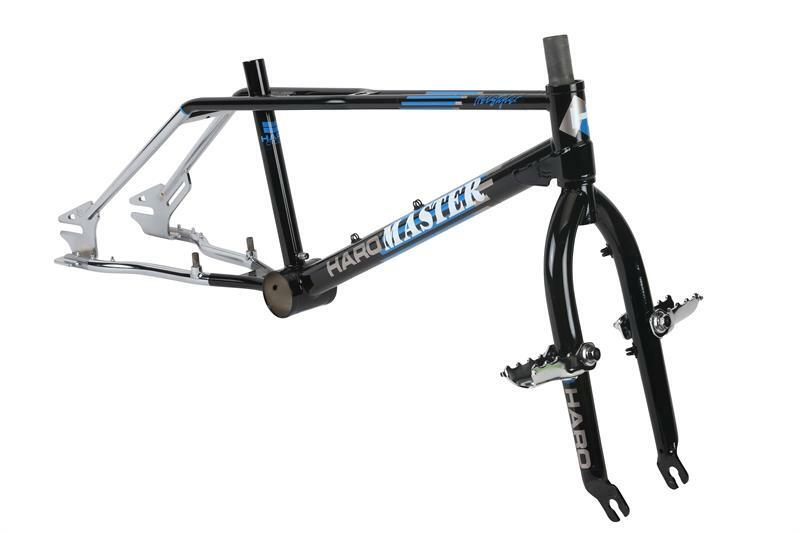 I haven't kept up with all the threads on these but I remember once that Haro might only be doing the 2018 Lineage models and not the replica 88s. So I just saw these on flatlandfuel.com and thought I'd share in case it wasn't posted on here yet. Pretty cool. As much as I think how cool these are,I just cannot bring myself to ever ride a bike with threaded headsets again. I was just thinking about how this F&F would make a great show piece display(aka wall hanger). Yep. I was even thinking of just the f/f as well. I actually wouldn't mind doing a shelf with the chrome freestyler, green master, yellow and mint master. I'm a Haro nut so I know I will be grabbing me a set just to display. I just don't get it, myself. When you're making them look just like the old school bikes with modern stuff like threadless 1 1/8, integrated, etc., why make an inferior version like these as well? For the old school guys who want a brand new one at an affordable price. 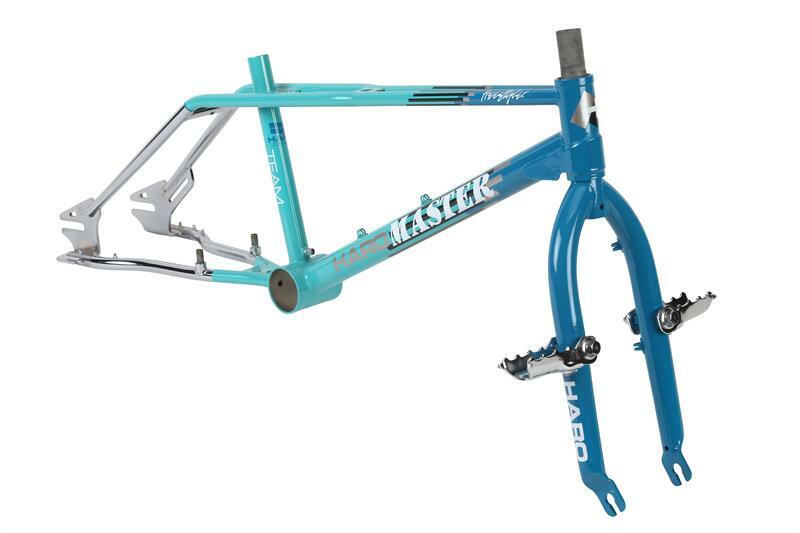 But if I wanted a brand new one then I'd just buy the one that looks just like an 88 but with 1 1/8" headtube. Someone wants the replica just because of the platform on the dropouts and the unusable fork standers? Lol, I think these are old stock that HARO found in a container like SKYWAY did in the mid 90's lol.. 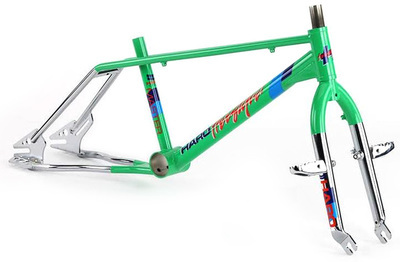 I have to ask cause I simply don't know..I'm man enough to admit it and I want to learn..
Are there ANY differences between the original '86 through '88 HARO bikes and ALL these new "re-popes" of these models besides serial numbers? How can you tell a original from the new ones? 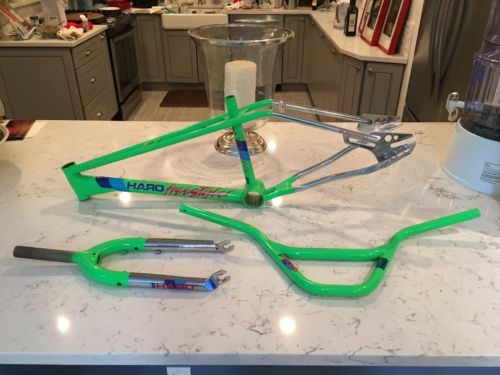 2018 HARO TEAM MASTER "re-pop"
And let's not forget the factory installed "points of early failure". Namely the fork tips and top tube plate at the seat mast. Everytime I see a post about the weak plate on the seat mast.I think about my friend bitd had his crack and got it welded up by a fellow student in highschool at metalshop class with a arc welder.The finish product was hideous! Someone told me the seat tube size on the re-pops are a different to make them a little stronger, that might be a good way to tell the difference. They are also selling the forks separately and I've been thinking it might be a good idea to buy a set now in case I come across a OG frame for cheap. Thank you for answering. You seem to know more than anyone else. Lol, no one else even commented lol. 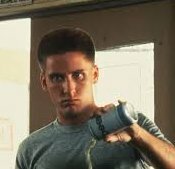 So, my understanding is, basically identical..besides serial, not much to differentiate the two..
Hypothetically,if someone had the know how and tools, and wanted to..they could alter a new one to pose as an original and sell for top dollar? I know it be a great deal of work/cost and probably not worth it, but anything could be done is my point. There should be something more to easily differentiate the two. It seems like with these being issued it would lower the value of the originals. Ya, that's kinda my point as well.. I get the LINAGE and RETRO lines that came prior as they are different but still with the cool colour ways we love.. I like them, just..what does it do to yhe value of an original and can someone get fooled by buying a new one over an original. That's the best I can verbalize my point..
That's my '87 and my buddies '88 master in the bed of my truck. 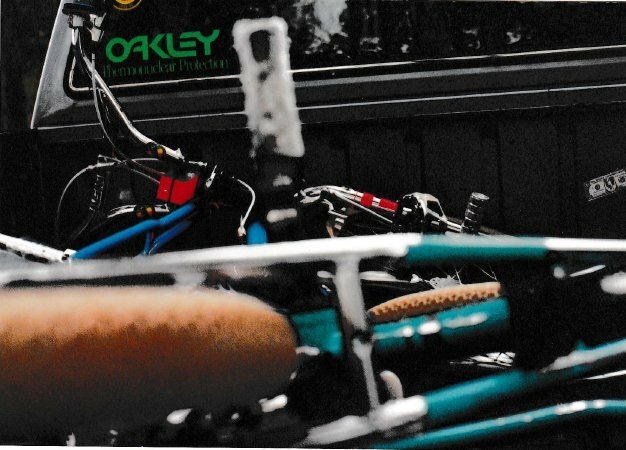 See that black area around the seat mast of the '88? Yup, cracked and re-welded. Note the Redline forks on my bike. They weren't the most reliable bikes at the time. went on to form their own awesome companies. You'd be surprised how many guys are still into the old school geo. Hell, I was until a few years ago. 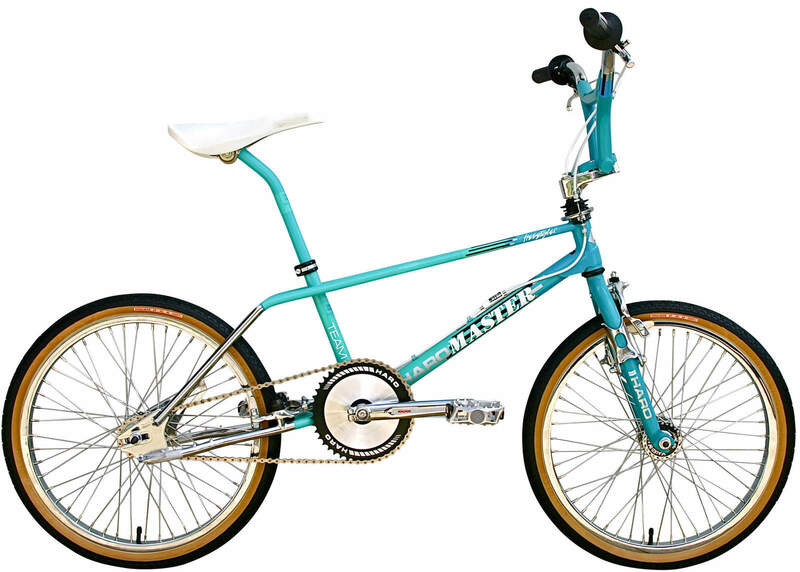 I still wouldn't mind having one for nostalgia but I just can't justify building one right now if I'm not going to ride it. Besides the serial numbers like u stated, the quality of tubing and welds I'm sure are more superior than 30yrs ago.